From everyone at the Utah Geological Survey, we hope you have a Merry Christmas that rocks! 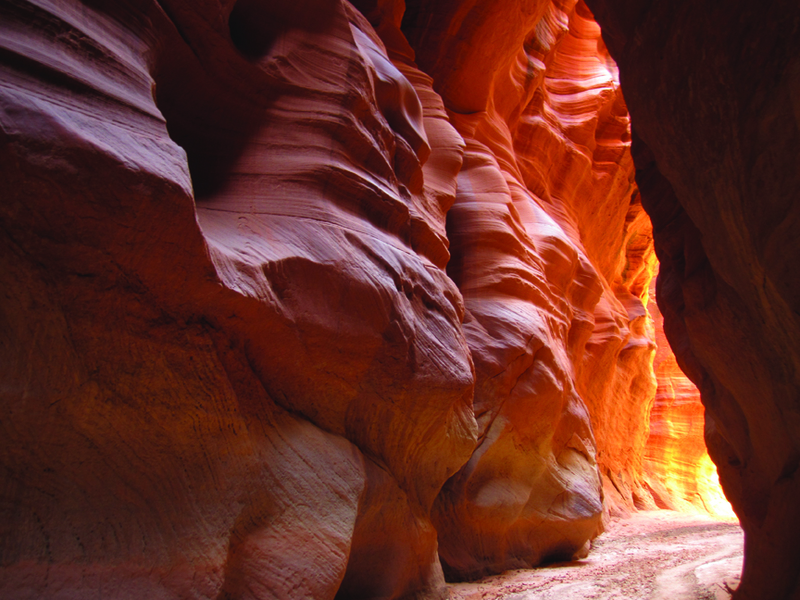 Morning sunlight illuminates water-sculpted walls of the Buckskin Gulch slot canyon. Cut deeply into Jurassic-age Navajo Sandstone, the Buckskin’s slot ranges from 5 to 25 feet wide and 100 to 500 feet high for 12 miles, making it the longest slot canyon in the world.